Many mainstream media reports, and even scholarly research works, mistakenly call the War on Syria a “Civil War.” They also believe that the war began in 2011, and is a sectarian conflict mainly between the Sunni and Shia sects of Islam. None of these three claims is true. 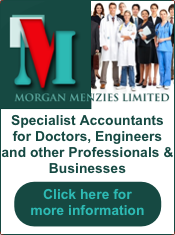 The following arguments and documents should shed further light on the three subjects. It will be argued that the Syrian conflict is not a civil war, it did not begin in 2011, and it is not sectarian. The Syrian conflict, the world’s bloodiest conflict, does not fit into any classical-conventional definition of warfare. 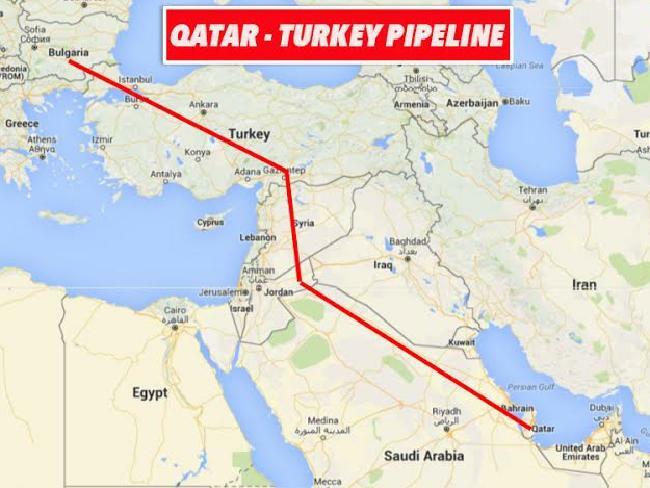 The war actually began in 2009 and the main reason was the Qatar-Turkey gas pipeline design. According to most common definitions, a civil war is the fighting between organized groups within the same country. A great majority of those involved in the conflict on both sides are proud citizens of the same nation and have lived within its political borders. Although very often some foreign nations support one group against another, the original political factions and regions are located inside the same political unit. The best examples of civil wars are the ones with the least number of outsiders involved. The prime example of this type of warfare is the American Civil War of 1861-1865. How can the War on Syria be called a “Civil War” when the air forces of many foreign countries such as the US, Russia, France, the UK, Turkey, Qatar, Jordan, and more violate the country’s air space? Why is it called a “Civil War” when terrorist Jihadists from over 60 countries have entered Syria so easily to commit crimes against humanity? Most of the proxy/mercenary fighters are armed, trained, and paid by foreign nations such as Saudi Arabia and Iran. Thousands of Turkish and Iranian citizens are fighting for or against Assad. While dysfunctional, the United Nations in many failed peace talks has indicated the multi-national feature of the war. The War on Syria is truly uncivilized when over a dozen foreign countries are openly involved. It is actually an unjust imposed war of aggression for regime change and invasion of the country by foreigners including the Wahhabi Arabs, Americans, Russians, Turks, Iranians, and proxy terrorists of many types. Many reporters, professors and pundits mistakenly think that the Syrian conflict was initiated during the Arab Spring of 2011 and then became a sectarian Shia-Sunni civil war. It is true that the Syrian regime brutally treated demonstrators who were guided by the Muslim Brotherhood from Ankara. Even those protestors asking for more freedom were not immune. The sectarian nature of the conflict is not fully understood. The power in Syria is in the hand of the Alawite minority while the majority of people there are Sunni. The religious belief systems of the Alawites are not exactly the same as those practiced by the Shia-twelvers in Iran. The friendship and camaraderie between Syria and Iran that began in 1979 is more based on political economy then religious affiliations. Many secret cables from the US, Turkey, the Saudis, Israel government agencies, and WikiLeaks suggest that the war neither began in 2011 nor it was only a sectarian one. The actual origin of the Syrian conflict goes back to Obama’s first year of his first term in office, in 2009. The Barack Obama-Hillary Clinton team secretly declared war on Syria. We should begin at this time period in searching for the most important reason for the war in Syria. Unfortunately, the last two administrations in the U.S. have been involved in regime change, fabricating failed states, and training terrorist that lead to more unending future wars. Both the Bush-Cheney and Obama-Clinton teams could be called warmongers and war criminals. Professor Pollack still wanted more reasons. Seemingly, his own reason of satisfying Israel was not enough to explain as to why the U.S. wants Assad out! Since its inception nearly 70 years ago, the Western Powers have always tried to please Israel. To the Zionist state, one less Arab enemy always sounds good. Another reason for Washington’s animosity towards the Assad regime could have been his alliance with Moscow. But, this simple explanation is nothing but the recycling of the Cold War geopolitics. It is true that Hafez al-Assad made Syria a “client state” of the former USSR. But, he became a friend of the U.S. by participating in the Coalition in 1991 that kicked Saddam out of Kuwait. Even his son Bashar has been mainly a pro-western politician. Remember his wife is a British citizen and there is no identifiable reason that he was a bad leader to be targeted by Washington. Until the so-called civil war imposed on him, Bashar Al-Assad cooperated with the CIA interrogating terrorists. In a recent research paper, Dr. Christina Lin (June 12, 2016), a Fellow at the Center for Transatlantic Relations at the School of Advanced International Studies (SAIS), John Hopkins University, documented both oil and gas pipeline projects in the Mideast. She argued, “Saudi Arabia and Qatar, as well as al-Qaeda and other groups, are maneuvering to depose Assad and capitalize on their hoped-for Sunni conquest in Damascus. By doing this, they hope to gain a share of control over the ‘new’ Syrian government, and a share in the pipeline wealth.” She added two more important issues to the overall gas pipeline puzzle plan. Dr. Lin believed, “The proposed pipeline would traverse Aleppo where Turkey’s Erdogan has been lobbying for a no-fly zone backed by US military power and American tax dollars.” Recent intensification of bombardment of East Aleppo and creating a safe-zone have a lot to do with the projected gas pipeline. American hegemony and pleasing Israel alone were not able to explain the whole issue of regime change in Syria. A year after the publication of Professor Pollack’s paper, Mike Whitney (September 15, 2016) wrote a brief article zooming in on the genuine reason why the U.S. wanted the Assad regime gone. It had noting to do with the Arab Spring and American or Russian alliance. The title of Mike Whitney’s paper, “Assad’s Death Warrant” sounds like the Syrian President did not obey Washington so he must be discarded. It should be said that Mr. Whitney’s inquisitive report was based on Robert F. Kennedy’s more detailed study of American politics in the Middle East. As a son of one of the famous Kennedy brothers whose father was assassinated by an Arab, Robert F. Kennedy (March 1, 2016) researched and penned a full story of American intervention in the Middle East for regime changes and coups since the end of WWII. He seriously wanted to “understand the impact of U.S. policy in the Mideast and particularly the factors that sometimes motivate bloodthirsty responses from the Islamic world against our country.” In the beginning of the article he emphasized that “we might want to look beyond the convenient explanations of religion and ideology. [Not a clash of civilizations!!] Instead we should examine the more complex rationales of history and oil.” The CIA has carried out coup plots in 50 countries around the world. Four in the Mideast namely: Jordan, Syria, Iran, Iraq and Egypt. The CIA began its interfering in Syria in 1949, right after the formation of an independent secular democracy similar to the American model. In March of this year, Shukri-al-Quwatli who was a democratically elected president, hesitated to favor the construction of the Trans-Arabian oil Pipeline that was an American project intended to carry Saudi oil to the ports of Lebanon through Syria. This could be called the “first death warrant” of a Syrian president. After the victory of “Operation Ajax,” overthrowing Iran’s Dr. Mossadeq in 1953, who was also a democratically elected PM, the Agency moved some of its operators to other parts of the region. Howard Stone, nicknamed Rocky, who was also present in Iran, arrived in Syria in 1957 with only $3 million dollars to get rid of al-Quwatli. This time however the almost-deaf Agent Stone was not successful. He was taken to jail and later had to leave Syria in disgrace. In the beginning of President Obama’s first term, a new natural gas pipeline project was presented to President Bashar al-Assad in 2009. This time, Qatar proposed the building of a $10 billion, 932 miles (1,500 km) long gas pipeline via Saudi Arabia, Jordan, Syria and Turkey to European markets. It was considered to be the cheapest and easiest method of this clean energy delivery over such a long distance. To safeguard the interests of his allies, Russia and Iran, Assad declared that he would decline to sign the deal to allow the pipeline to run through Syria. One the other hand, the Syrian President accepted a Russian-approved gas pipeline construction from the Iranian side of the gas field north of the Persian Gulf across Syria and to Lebanon. The Iranian gas pipeline project enraged countries that are now directly or indirectly fighting against Syria. Located at both ends of the pipeline, Qatar and Turkey became the biggest losers of the profit from the project and the biggest enemy of Assad. Qatar, that owns most of the natural gas in the world’s largest gas field, the South Pars-North Dome, is unable to sell its commodity to the richest nations that need clean and cheap energy. Turkey’s case is also precarious because it needs the fuel and is not able to pocket large amounts of generous transit fees. It’s no wonder why they have been the biggest supporters of terrorist groups in Syria. The Obama administration and NATO nations, plus their local Sunni countries, began planning regime change in Syria as early as 2009 that was implemented by 2011. Sadly, under the guise of divide and rule, the U.S. policymakers have been trying to sell the world the idea of a pipeline war as a humanitarian war. Pipeline proxies who entered Syria were mostly Jihadist terrorists. Millions of displaced people fleeing Syria must be seen as refugees of a pipeline war. As of yet, the warmongers from both major American political parties have not been charged as war criminals. To them “business as usual” is the norm to be looking for more endless future wars. The Western imperial powers and their local poppet regimes have an insatiable appetite for controlling natural resources, creating failed states, breeding terrorism, and perpetuating wars. Taylor, Rob. “Pipeline politics in Syria” Armed Forces Journal, March 21, 2014. Whitney, Mike. “Assad’s Death Warrant” counterpunch.org, September 15, 2016.